The Writers Guild gave out its screenplay awards tonight, with Jordan Peele winning in Original for Get Out and James Ivory winning in Adapted for Call Me By Your Name. The adapted screenplay Oscar is pretty much locked and loaded now, because Ivory also won last night at the USC Scripter awards for Call Me By Your Name, which honors the script and its source material- the combination of winning the Scripter and the WGA never fails in predicting the Oscar for adapted screenplay. 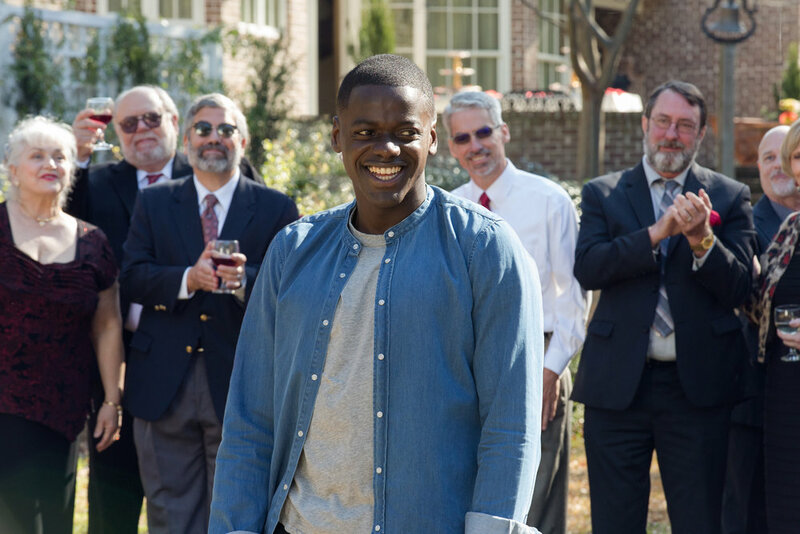 Original screenplay is now heavily favored towards Get Out, but I also think this guild has become more important lately in predicting Best Picture. Last year Moonlight won this over La La Land, and it turned out to be the only guild it won on its way to an upset Best Picture win. Spotlight also won the WGA on its way to winning Best Picture, where it was the first film in five decades to win the top prize with just two Oscars- screenplay and picture. Could Get Out do the same thing? I think it could. The Shape of Water is still the frontrunner, having won the DGA and PGA (and it could very well win the BAFTA next week), but I'm feeling the broad consensus forming around the popular horror film, which as we all know has tons to say about America, and that arguably makes it a weightier movie than The Shape of Water or Lady Bird (and it's not divisive, like the other option for this category with Three Billboards, which wasn't eligible for the WGA, but is nominated at the Oscars). February 11, 2018 by Ariel Shavonne.